challenged users is located dose to the entrance lobby with wheelchair-friendly pay-stations in the lobby area. 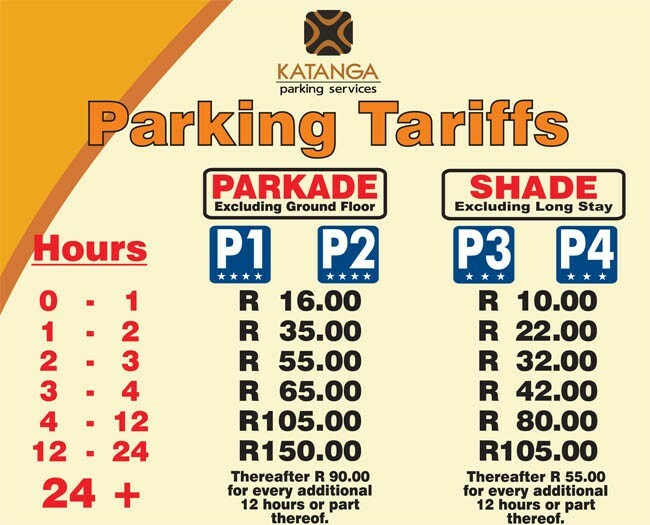 Lost ticket penalty of R150.00 + applicable tariff. Description: Rated as a 5 Star product at the airport, the executive parking service is offered by four service providers who will take care of your vehicle and park It for you whilst you are away They offer a range of car care services to enable to you to return to a sparkling clean car, Contact the service providers for rates.